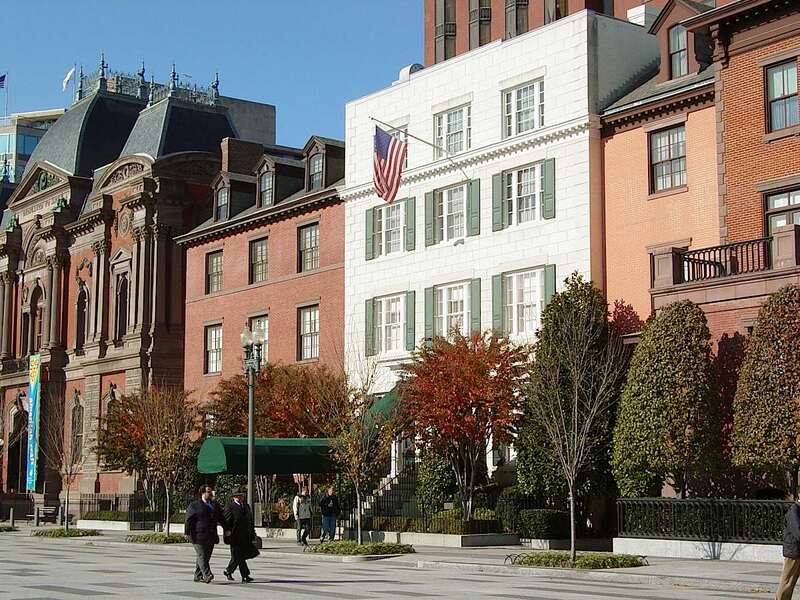 At the very top of our It Buildings list for “Most Luxurious”, The Ritz-Carlton West End is home to 162 contemporary uber-elegant condominiums and penthouses in two buildings, the north and the south, located in Washington, DC’s West End. While the two 11-story buildings are not identical, they share many beautiful features including a cascading waterfall within a 30,000 square foot courtyard. Large floor-to-ceiling windows make for bright and inviting open-floor plans in these 772 to 5,600 square foot modern homes. Residents enjoy Ritz-Carlton hotel services from room service to housekeeping and private chefs. Most of the units feature one to three bedrooms while penthouses and duplexes with four and five bedrooms are also available. The lust for luxury is motivating sales at every level of the Ritz-Carlton West End price range. 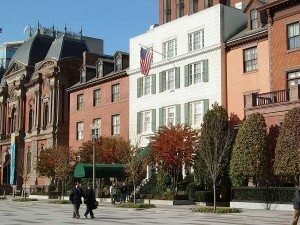 For example: on June 4th, a five bedroom, six bath Presidential Penthouse with 5,664 square feet was listed with Washington Fine Properties. The discerning buyers closed 22 days later! For $5,500,000, they’re happily ensconced in an amazing property that includes a wood paneled library with fireplace, dramatic living room with fireplace and bar, eat-in kitchen, a to-die-for master suite with private balcony, four additional suites and three parking spaces! In a short sale, a one bedroom, two and a half bath unit with 2,013 square feet was listed and sold at a price of $885,000. The extraordinary living space included a foyer, office area, and gourmet kitchen. Most recently, an incredible three-level penthouse with three bedrooms and three baths in 2,485 square feet was listed, sold and closed in 45 days at full list price! $1,750,000 secured ownership and included a formal living room with fireplace, third floor party room, and over 1,000 square feet of exterior space with fantastic views of the National Cathedral, Georgetown and Virginia with terraces on all three levels! Convenient to the best of DC including shops, restaurants, nightlife, theater and the arts as well as the downtown business district, West End is home to some of DC’s highest-end luxury condo buildings. 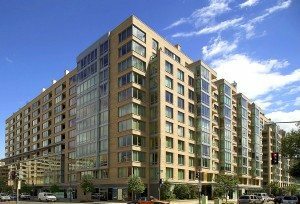 West End is easily one of the most sought-after neighborhoods in DC and sits in walking distance of the best of Georgetown as well as Dupont Circle. The West End is perennially convenient and provides easy and quick access to all parts of the city. Residents can walk to Georgetown, the Kennedy Center or the Foggy Bottom-GWU Metro station just around the corner on the Orange and Blue line. Or, the doorman will call you a taxi if you don’t feel like walking or taking your car out of the garage. Like The Ritz-Carlton West End? Consider These Similar Buildings. Also in the West End, buildings of note include 22 West and 2501 Pennsylvania. Nearby, elegant living is available in Georgetown at The Ritz-Carlton Georgetown and 3303 Water Street, and across the Potomac at Turnberry Tower and The Waterview. 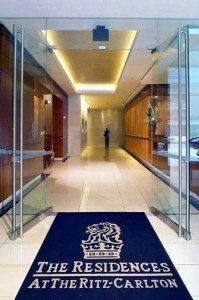 For more information about The Ritz-Carlton West End or to discuss buying or selling a luxury property in the Capital Region, contact Jeff Wilson at your convenience.